The Alzheimer’s Research Organization is committed to researching and compiling the most current information relevant to helping caregivers more effectively support Alzheimer’s patients. We do not conduct scientific studies, but we act as a clearinghouse of the most reliable resources available on caring for people with Alzheimer’s disease. Every day brings hundreds of new studies, findings, and recommendations. They come from universities, pharmaceutical companies, hospitals, clinical trials, health alerts, magazine articles, news articles, videos and sources, authored or indexed by experts in the field. 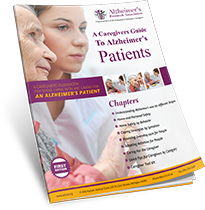 As an organization, we review this wealth of information, organize and prioritize it in a form that provides the greatest benefit to both Caregiver and patient. We share information to our members in the form of Alzheimer’s Alerts, caregiver articles, and our blog. We share urgent messages, such as Wandering Alerts, and other information that warrants immediate attention. Back in 1998 my father-in-law was diagnosed with early onset Alzheimer’s disease. Needless to say, this was a traumatic event for our entire family, but not totally unexpected because my father-in-law had two sisters and a brother who had been diagnosed with some form of dementia. Still, it had a profound effect on my entire family. At the time, we really knew next to nothing about Alzheimer’s. After the diagnosis, my family made it our business to find out as much information as we possibly could about the disease. Back in 1998 the internet was not quite as developed as it is today. We had to do all our research on our own. Today, when you Google “Alzheimer’s,” you get an overload of data. Trying to find the information that you are looking for can be a very confusing task, and to find the exact answer that you are seeking is next to impossible. Over the last 12 years we have learned a lot about taking care of an Alzheimer’s patient. In 1999 we started a support group for caregivers for Alzheimer’s patients. We would get together once a month or so to give each other support and advice, and simply share our experiences. We were wives, husbands, sons, daughters, and grandchildren taking care of loved ones. None of us were professional caregivers, so most of what we learned and shared with each other was through trial and error — and believe me, there was a lot of error. What worked for one person did not necessarily work for another. In our quest for information we found that there were no ideal sources of information specifically dedicated for Alzheimer’s caregivers. We discovered the Alzheimer’s Association, which is a great organization for information on all aspects of the disease itself, including information for caregivers. We saw a need for an organization that was caregiver-specific—an organization that would complement the Alzheimer’s Association as another source that caregivers can turn to for the information they seek. There were other websites that touched on the subject of caregiving in general, but none specializing on caregivers for Alzheimer’s patients with the attention to detail that we felt was necessary. Providing care for an Alzheimer’s patient presents its own set of unique problems and circumstances. We intend to try to alleviate those problems and circumstances for you by empowering you with information. The work of Alzheimer’s Research Association is focused on caregivers—the family members and others who dedicate themselves to the care of Alzheimer’s patients. The information that we offer is gleaned from our experiences as well as from current research. We would especially like to thank the National Institute on Aging, a federal agency that has been a wealth of information on the subject of Alzheimer’s disease.